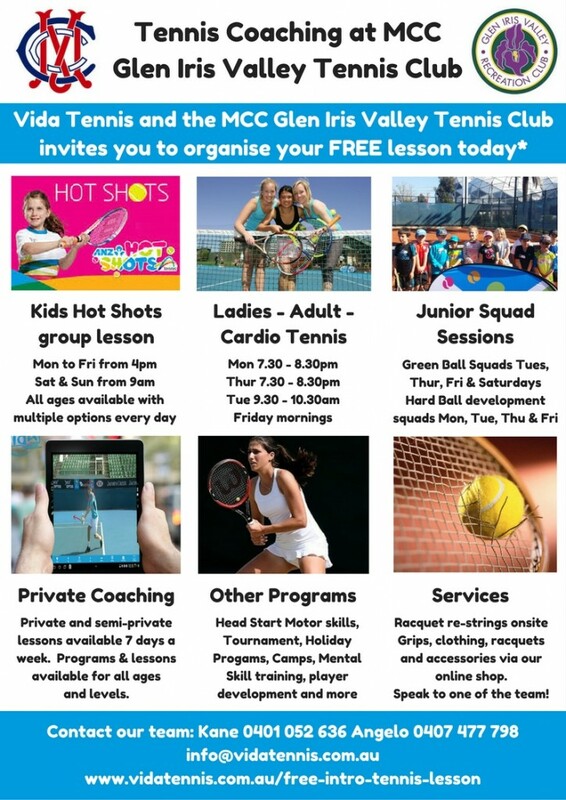 Vida Tennis offers a variety of tennis programs for all ages and abilities at the MCC Glen Iris Valley Tennis club each day of the week. We can tailor a program to suit your needs; weekly lessons, hot shots, competition play, tournament, holiday programs, training camps, adult session and more. Click Here to find further information about each of the programs available and also see below an overview with some time options. 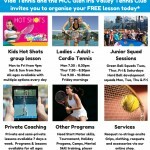 Vida Tennis offer a FREE introductory session for new registrations entering a program so we can make sure you are in the program that meets your needs. 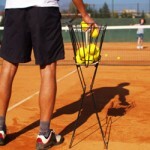 You can organise your free intro at the club by contacting the Vida Team.